My name is Ben Albright and my passion is the outdoors. I mainly hunt deer and turkey with my son and we video all our hunts together. We live in the Macon/Randolph county area of, North Central Missouri. 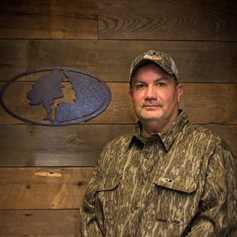 Mossy Oak is land specialists and therefore i will specialize only in what i know and that is recreational and farming ground. I was born and raised in the country and farming( especially food plotting) is what i know. I will take care of you whether you are looking for hunting ground or tillable and combinations of either. If looking for hunting ground I will make sure it is what you want and looking for,not show you just any listings and be worried about my commissions. I want you to be happy and refer me to your friends and family. I will not list properties and then go kick our feet up and wait for the phone to ring. I take pride in working for Mossy Oak Properties and know they expect me to do our best,so give me a call and i will set myself apart for you!